On our recent trip to Czech Republic, we decided to spend a little time in the country’s second largest city, Brno. Brno isn’t really a popular town to visit, but it should be. It is charming, less crowded, and there is a lot to do. Because Brno has yet to be inundated by tourists, it is also one of the cheapest places we visited on our driving tour of Europe. When I started researching hotels, there was one that consistently received the highest rating across all review websites: Barceló Brno Palace, a five-star luxury hotel. 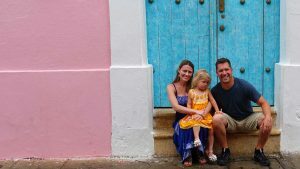 My husband and I are long past the days of crashing in crowded hostels. But we aren’t yet to that stage in life where we seek out luxury lodging. We’re somewhere in between. I typically aim for a good mid-range budget hotel or apartment that is close to the attractions we want to visit. Although we aren’t traveling the world on a college student’s budget, we still don’t want our trips to break the bank. So we have never stayed at the nicest or most expensive hotel in a city… that is, until we visited Brno. We don’t use a travel agent to book a trip. Instead, I spend countless hours of my free time researching every aspect of a destination. I read hundreds of reviews before finally choosing a hotel and crafting an itinerary. Barceló Brno Palace definitely stood out. We decided to go ahead and live the lavish lifestyle, if only for one night. And it didn’t disappoint. It is everything you would expect from a luxury hotel. They greet you with champagne as you walk in the door. 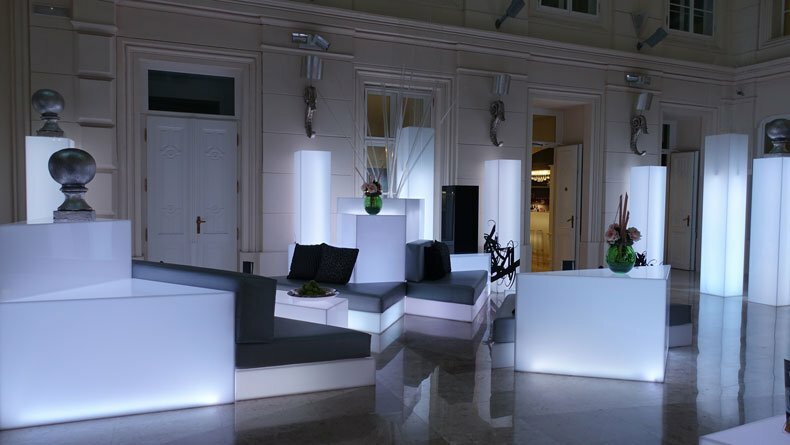 The lobby is modern and elegant with white furniture that illuminates at night to create a cool lounge vibe. A glass elevator directly adjacent to the lobby gives you a great view as you head to and from your room. Our room was located on the fifth floor. It was large and lavish with high end toiletries in the bathroom and a mini bar. Even our daughter had her own set of complimentary children’s toiletries. The lights dim to your suiting, and blackout shades pull down over the skylights with the flip of a switch. The bedding and pillows were soft and inviting. Even the pack n play that was provided for our daughter was decked out with a nice thick mattress, a pillow, and matching duvet. The hotel is located in the heart of old town Brno, Czech Republic just around the corner from the beautiful Cathedral of St Stephen and St Paul. Just down a narrow stone street, you’ll find a bustling farmer’s market. Stroll a bit further and you will be on the main street. Right outside the hotel there is a small corner store where we were able to buy milk and other necessities for our toddler. Everything is written in Czech, so a word of warning… be careful what you buy. We bought something that looked like milk, but tasted like runny, tart Greek yogurt and smelled like curdle cheese. Getting a toddler to try and drink that stuff was laughable. 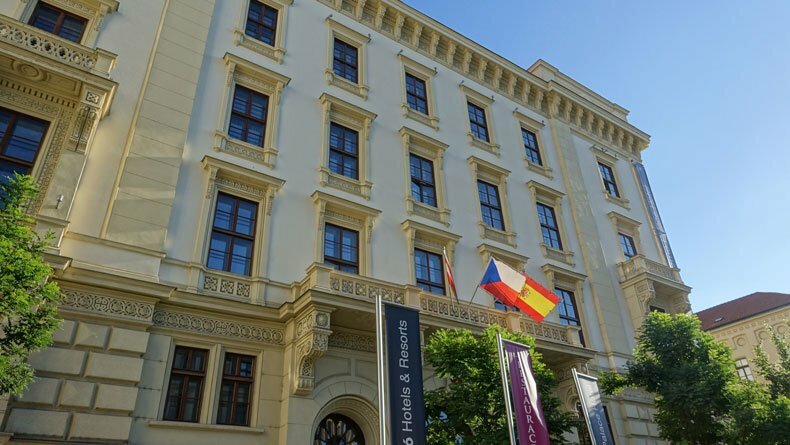 So why did we splurge and stay at the luxurious Barceló Brno Palace when we usually aim for mid-range lodging? 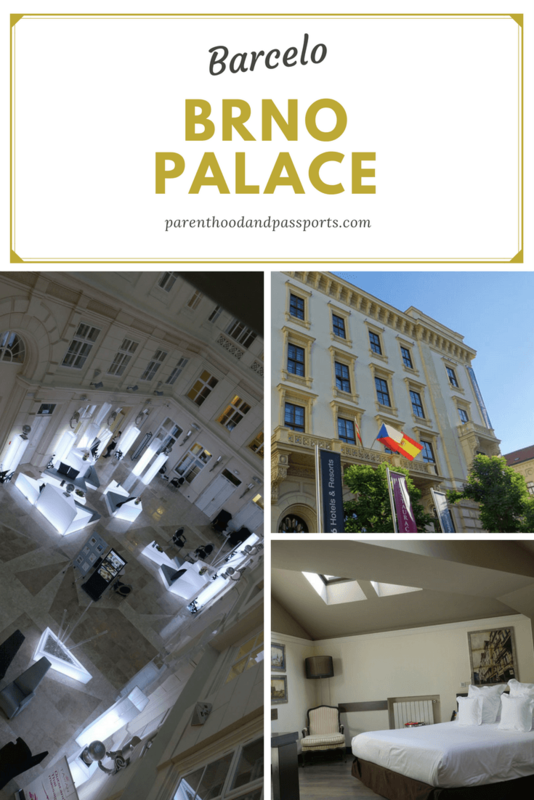 Because Barceló Brno Palace was inexpensive! At least in comparison to what we would pay in the states. It was only $120 a night! Most hotels in the US that offer the same quality and amenities would be around $400 a night or more. So it was a steal! Sometimes you just have to treat yourself to a little luxury. The great news is in Brno, we were able to do so within our budget. 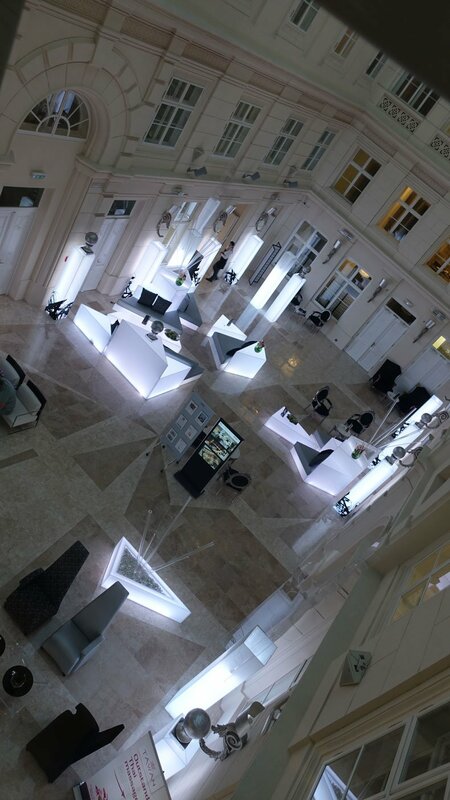 Have a question or comment about our Barcelo Brno Palace review or simply about the hotel itself? We’d love to hear from you! Leave your thoughts in the comments below. I’m with you on spending hours of research reading reviews and comparing hotels. A good night’s sleep either makes or breaks a trip! I can’t believe a place like this is only 120 a night, that is an absolute steal! 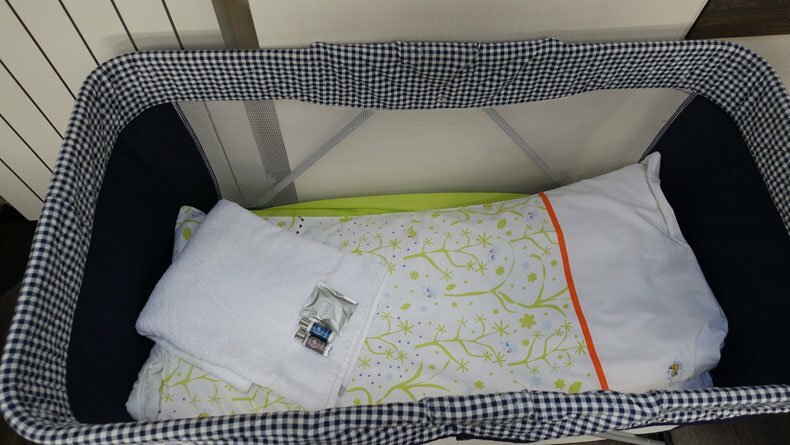 So nice that they prepared a nice comfy crib for your little one too. Affordable and luxurious, now that’s a combination every one would want. I love such properties. Looking at your pictures, I am sure you had a great time here. I like the color scheme of the room. I myself prefer them in pastel colors. It is so good they had arrangements for your daughter. Thoughtful indeed! Everything in Brno was ridiculously cheap. The three of us ate lunch for $8 one day. I guess that’s the benefit of traveling to a non-touristy town. 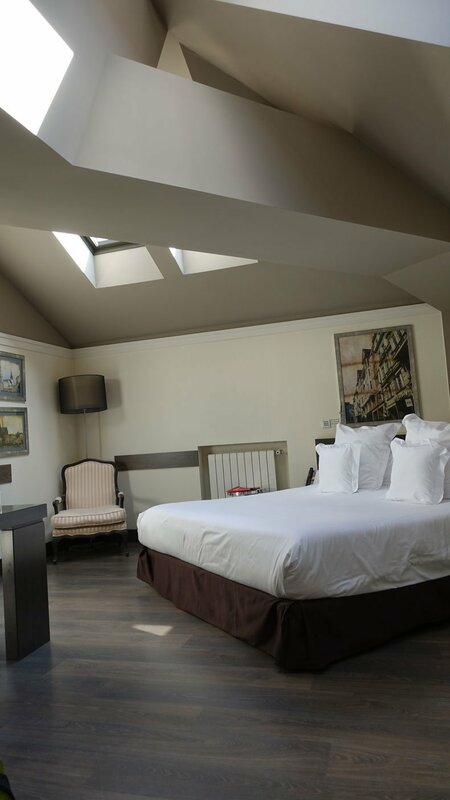 Barceló Brno Palace looks perfect, the bed looks really comfy, it’s centrally located and luxurious. I can appreciate they provided a crib as I’ve visited hotels with my daughter when she was 1-2. This crib looks just as comfy as your bed if not more so!, maybe your daughter got a better deal than you guys! Everywhere we went in Europe the cribs were awesome! Way better than what they provide in the Americas. I think it was even more comfy than her bed at home! That looks like a beautiful place to stay. Very modern looking which I like. The room looks very cute too. I haven’t visited Brno yet but one day I will get there as it looks like a lovely town. I absolutely love the ceiling of your room, it looks so modern and stylish. The bed looks very comfortable as well. It’s so nice that the hotel paid attention and made you feel special by leaving in the room toiletries for your daughter as well. I love it when hotel staff goes the extra mile for the guests. This was the first hotel where we have stayed with our daughter that provided kids toiletries. It was a nice touch. Its too bad that I missed Czech when I was in Europe! The hotel looks luxurious. Glad that the price comes at an affordable range. Its a very nice gesture on behalf of the hotel to provide a baby crib!!! seems like incredible value for money! the hotel looks amazing in the photos, too good to be true haha!! We’re heading to Europe this year I’ll have to keep it in mind, I like the modern and stylish interior.